When I first heard about Purnia Beyond, I thought.."it's true..we feed ourselves natural foods..why not the pets we love and care about?" So I was really excited to try the new products with my kitties. Purina is giving pet owners a new natural pet food option for their four-legged friends called Purina® Beyond®. Purina Beyond uses real, recognizable, natural ingredients you know and trust, plus essential nutrients. All Beyond dry recipes are made with real meat, poultry or fish as the number one ingredient. All Beyond recipes contain no corn, wheat, soy, poultry by-product meal or added artificial colors, flavors or preservatives. 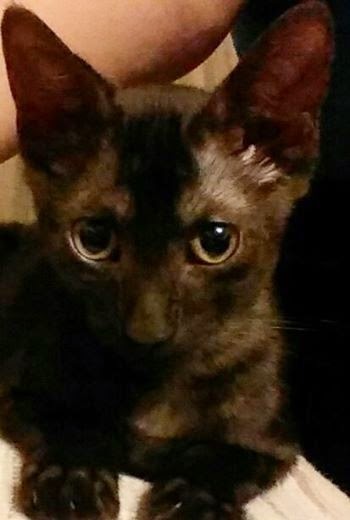 This is my pretty girl Elsa. She is all black, and gorgeous. She is the family cat and we all love her very much. Purina Beyond is available nationwide in the pet food aisle of mass and grocery retailers and at pet specialty stores. Beyond foods are priced in line with other natural pet foods. 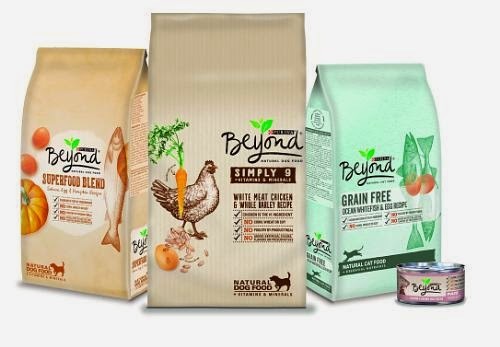 To find out more about Purina Beyond, visit www.BeyondPetFood.com.